When it comes to parenting advice, there is no one-size-fits all. In our journey to bring a variety of parenting solutions to aspiring, expecting, new and devoted parents everywhere, we recognize the commitment others have made to creating community and making connections with one another. kidsinthehouse celebrates the countless cyber-superheroes who dedicate their time, voices and thoughts, helping others navigate the beautiful and complicated journey of parenting. 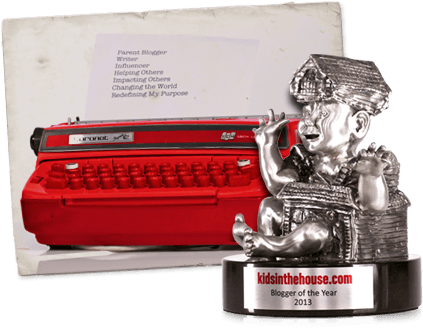 This month, we are thrilled to honor 17 of these beloved individuals with The Parent Blogger Influencer Award. Adrian brings out the joy and humor of being a stay-at-home Dad to his two toddlers. He is honest in his writing, and isn't afraid to tell his unexpected confessions. Asha is the mother of a daughter, a son, and a parenting style called “Minimalist Parenting” (which is also the name of Asha’ first book, co-authored with Christine Koh). Bea makes downsizing look glamorous. Back in 2006, Bea, her husband, and their two sons decided to move to a smaller house and eliminate all excess from their lives. Our generation of parents faces a troublesome economy, but with Crystal’s help our personal finances seem far less overwhelming. We love her simple, down-home money-saving tips. A divorced, Mormon father of an adopted son starts a blog. It sounds like a pitch for a new sitcom, but it’s Dan Pearce’s life. Readers love Dan for his “everyman” persona. What’s not to love about Denene Millner? She’s beautiful, successful, warm and brave – all traits that come through in her writing. She's a bestselling author, and journalist. Dresden credits the Internet with getting her pregnant – so maybe that’s why so many of us feel like part of her family? Or, it could just be her intimate, open writing style. There doesn’t seem to be much this dad of three can’t do. Frederick is the type of father every child deserves. His blog encourages men to get involved with their kids in realistic ways. Despite having faced unimaginable tragedy, Heather manages to approach life and parenting with tremendous spirit, resilience, honesty and humor- all reflected in her blog. Jill Smokler, aka, Scary Mommy brings out the humor, sarcasm, and confessions of motherhood. She is the author of two books and blog. After experiencing a severe postpartum depression after the birth of her first child, Katherine Stone started a website called Postpartum Progress, as a way for her to reach out to others. At a time when the fight against obesity has reached a fever pitch, Leah Segedie presents a calm, encouraging voice of reason. Leah runs both the Mamavation and Bookieboo online communities. When Matt's wife died from a postpartum pulmonary embolism, he was left to raise their newborn daughter on his own. He chronicles the challenges and triumphs of being a single dad. Suchada blogs about exploring the full spectrum of natural parenting. She describes herself as a "home-birthing, breastfeeding, babywearing, free-ranging type of mom." Tsh is the founder and creative director of Simple Living Media a blog network dedicated to helping people live while throwing the word, "perfection" out the window. Whitney began Rookie Moms.com with her friend Heather after they’d both had babies and realized they had no idea what to do with their days. Now, they guide moms through motherhood.